The Lake Front Hotel is proud to announce the launch of our new website at http://wwww.cooperstownlakefronthotel.com. The goal of the new website is to make it easier to book rooms and find out more about us! 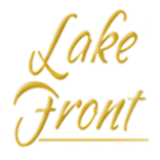 We also have launched a brand new video that allows you to see more of Lake Front Hotel before booking with us, please check it out on our homepage. Check back here for the latest news and updates for the Lake Front Hotel in Cooperstown! Located on beautiful Otsego Lake in the Village of Cooperstown. 1 1/2 blocks to the National Baseball Hall of Fame and Main Street the totally re-built and renovated Hotel has everything you need! Monday, June 19, 2017 New Website!